Galveston Bookshop will host a book signing on Saturday, April 27th, 1:00-3:00 p.m. for author Clay Coppedge with his book, “Texas Singularities,” a collection of select stories from Texas history. Texas, that most singular of states, conceals an entire parade of peculiar events and exceptional people in the back pages of its history books. A Lone Star man once (and only once) tried to bulldog a steer from an airplane. One small Texas town was attacked by the Japanese, while another was “liberated” from America during the Cold War. 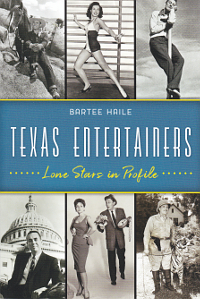 Texan career choices include goat gland doctor, rubbing doctor, striking cowboy and singing cowboy, not to mention swatter, tangler and dunker. From gunslinger Sally Skull to would-be rainmaker R.G. 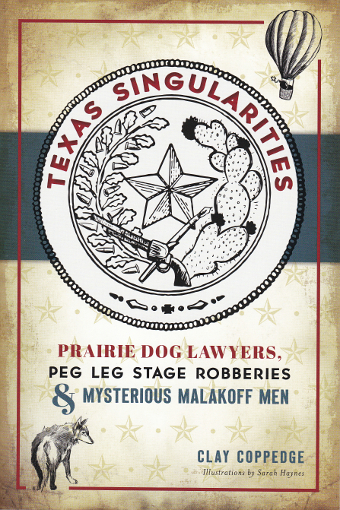 Dyrenforth, Clay Coppedge collects the distinctive odds and ends of Texan lore.